Measurements: 13mm long with loop X 6mm wide. Characteristics: The loop is a silver tone metal. 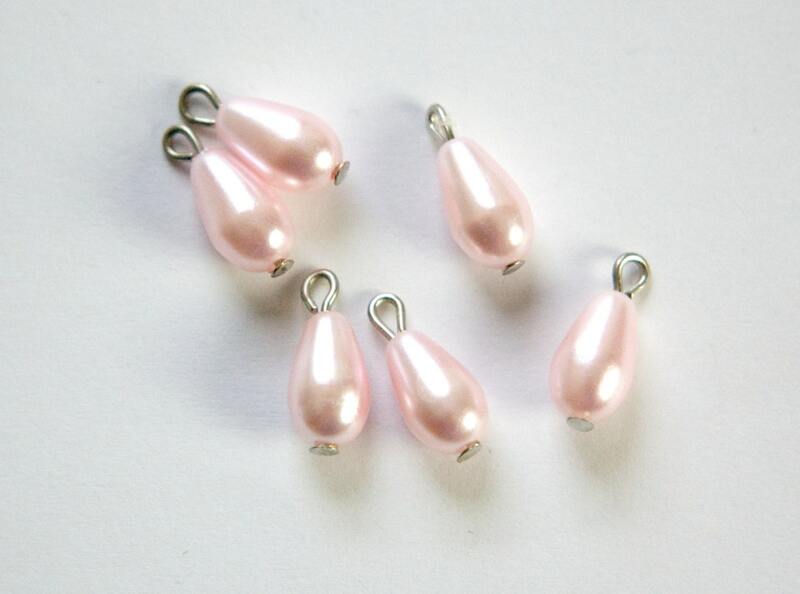 Lovely pink color on these faux pearl drops!